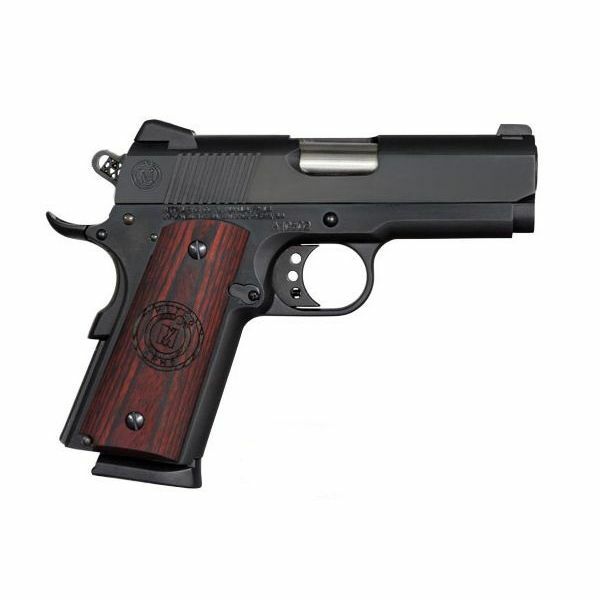 The American Classic ACC45DT 1911 Commander is a single action pistol with a Novak-style rear sight and a dovetail front sight. 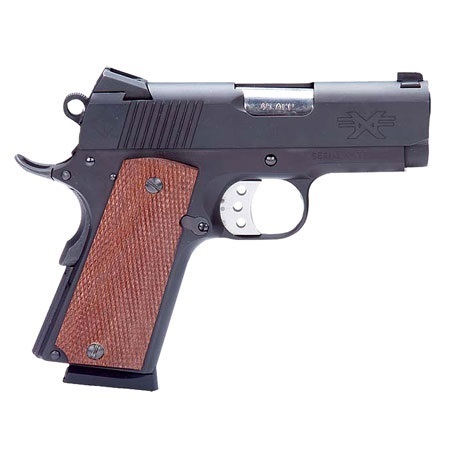 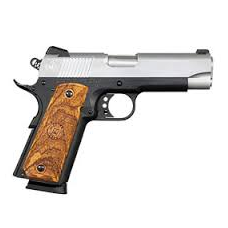 The 1911 Commander features an extended slide stop, a beavertail grip safety, a combat hammer and trigger, an extended thumb safety, and a throated forged steel barrel. 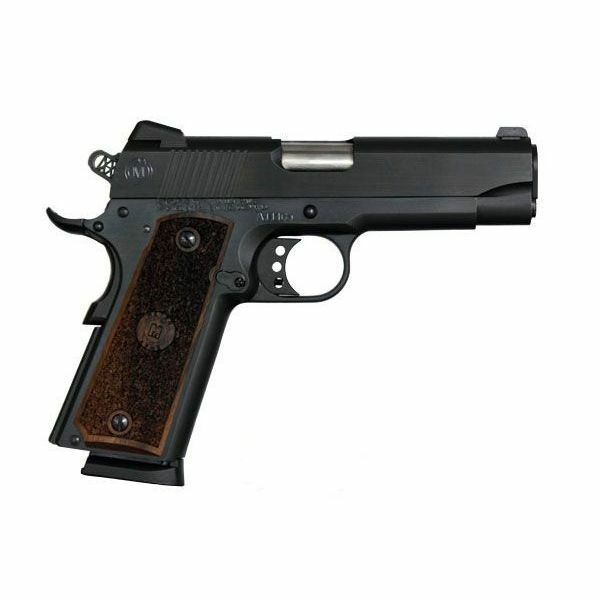 This model has a checkered mahogany wood grip with diamond cut checkering.